Number of new BlackBerry 10 phones are still growing nad users need backup or synchronize contacts with other devices. For these purposes there is a simple solution PhoneCopy.com, which we've prepared this tutorial for. 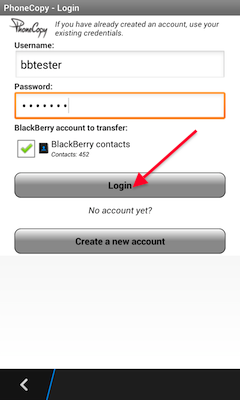 IF YOU NEED TO TRANSFER CONTACTS TO Blackberry please use another guide. You need a BlackBerry 10 phone. Let us just remind you, that for now PhoneCopy for BlackBerry only transfers contacts.